Morata can start firing again in Madrid. Lemony Snicket aside, Alvaro Morata’s Chelsea career can be defined as a series of unfortunate events. After moving to London, things have gone horribly astray for the Spaniard. After missing too many sitters in crucial moments, he was benched for Olivier Giroud then Eden Hazard. He wasn't able to win Antonio Conte or Maurizio Sarri's confidence. Nothing helped him settle into the sticky Premier League waters. Morata’s move to Chelsea itself was an anomaly. With Manchester United in pole position to sign him in 2017, Florentino Perez’s obstinacy broke his heart. The Spaniard had even dyed his hair red, anticipating his Old Trafford debut. He was never meant to be blue. Regardless, he used his pent-up frustration and adrenaline to prove himself in the Premier League. Scoring seven goals in his first ten Premier League games, he burned himself out in record time. A fantastic hattrick away to Stoke and a smart header to down United, after they picked Romelu Lukaku over him should have been just the start. It was the end. Too soon after a heroic rise, his fall began. In his next thirty-seven Premier League appearances, he scored only nine. Things didn’t improve under Maurizio Sarri, whose passing system troubled him. Rarely did the Blues play to his aerial strength or track his runs through on goal. On the other hand, his inconsistency makes it difficult to blame anyone other than the player. Moving to the Premier League proved a mistake for the Spaniard. The conditions didn’t suit. Nor did the style or the pressure brought to bear by his high-priced transfer. He wasn't even on the bench for the defeat to Arsenal, his return to the Spanish capital seemingly a matter of when rather than if. London's torment can't end too soon. Atletico manager Diego Simeone can benefit from a hungry striker right about now. Los Colchoneros have scored only 30 goals in their last 20 matches. Morata's time at Stamford Bridge can't end too soon for the Argentine manager, either, but the word on the cobbles is that Simeone must find a buyer for either Gelson Martins or Nikola Kalinic to make room for a new arrival at the Wanda Metropolitano. 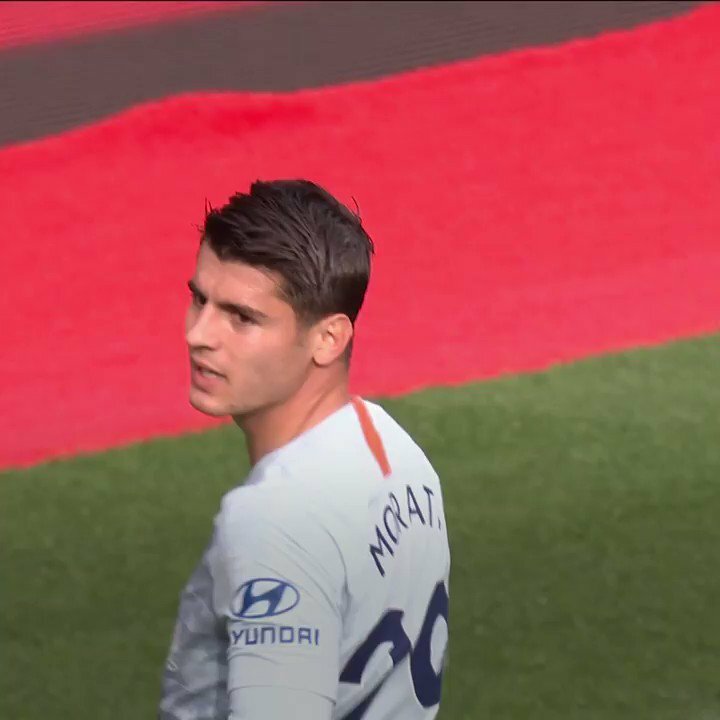 @skysports_sheth breaks down Atletico Madrid's move for Alvaro Morata to @laura_woodsy and @ghostgoal and discusses whether the Chelsea striker could replace Diego Costa. Having begun his youth career at Atletico, homecoming will be bittersweet. After his success with rivals Real Marid, he must do hit the ground running to earn forgiveness from Los Indios supporters. The last time he played in La Liga, Morata scored 15 goals to help Real Madrid win the league. Thankfully for Alvaro, Simeone loves to play his game to his strikers’ advantage. The Argentine’s side boasts a world-class attacking line, including dazzling wingers and creative midfielders but the ultimate goal is to get the striker scoring. The royal treatment should increase his confidence. Los Rojiblancos average close to 10 key passes every game so far in La Liga this season. Their attackers are encouraged to find that killer ball for the man up front. With that other disgruntled Chelsea forward, Diego Costa, misfiring, he can carve a place for himself in Atleti's lineup. If not, Morata’s ability to impact from the bench is well renowned too. Most of his goals at the Santiago Bernabeu came as a substitute. Likewise during his time at Juventus. With another scorer contributing timely goals, Los Rojiblancos might mount an assault on Barcelona atop the table. What Morata cannot afford is to allow healthy competition to spiral into an effort to outshine his team-mates. Even at twenty-six years old, the Spaniard has much to learn from his compatriots. While he couldn’t mimic Costa’s performance-level at Chelsea, he can learn about aggressiveness, using his strength and size to better advantage and improving his finishing under the naturalised Spaniard's tutelage. Antoine Griezmann should also accept him with open arms. Morata’s clever movement, sleek combination and link-up play promises strong chemistry with the World Cup winner. The opportunity is there for Morata. He can wake from a nightmare or prolong it. The choice is entirely up to him.